Silver Eagle Cool Champions Evaporative Cooling Mat offers cooling relief without the use of gels or refrigerants, using instead the three-layer evaporative cooling material for which Silver Eagle Outfitters is known. Using regular tap water, the Cooling Mat is easily activated in a few minutes for hours of heat-relief for your dog and at the same time keeping your pet dry. 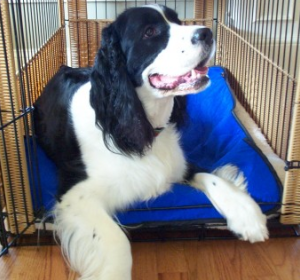 The Cooling Mat can also be used over the animal as a cooling blanket.